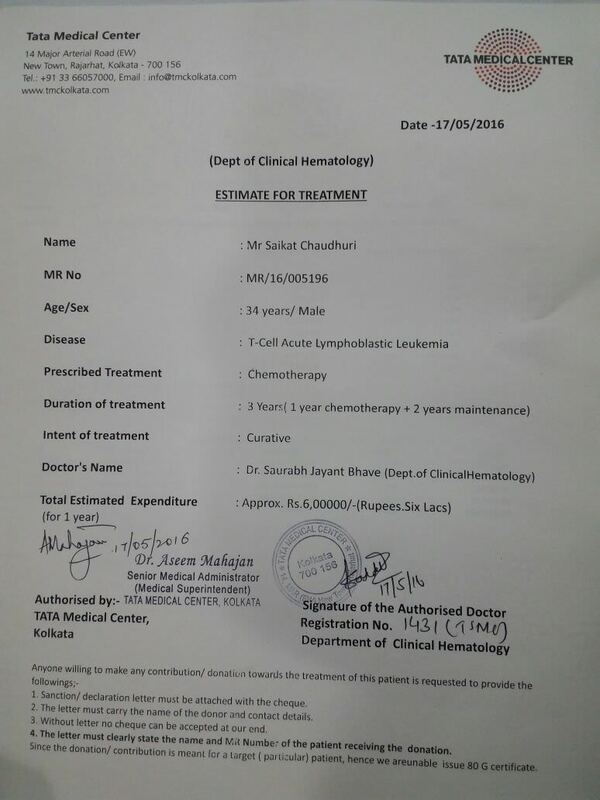 this is the picture of Saikat Chaudhuri, 34 years, suffering from Lymphoblastic Leukemia and at present admitted in Tata Medical Centre, Kolkata, West Bengal. His financial background is not strong enough to bear this huge medical expense. He has his aged parents to look after. 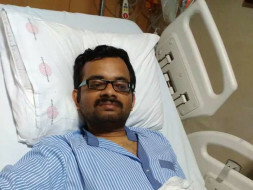 since he is an employee of my firm, I am fighting hard to meet his medical bills, but now it has become impossible for me to bear this huge financial burden alone. The initial expense is Rs Eight Lakhs and another 25-30 lakhs if Bone Marrow Transplant is to be done. Friends please come forward to help this unfortunate helpless boy and help him to win his battle against Cancer, because TOGETHER WE CAN.